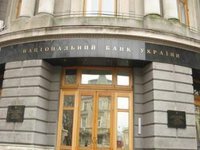 The National Bank of Ukraine (NBU) has registered the Ukreximbank banking group, consisting of PJSC State-owned Export-Import Bank (Ukreximbank) and Eximleasing LLC (both based in Kyiv), the central bank has reported on its website. The supervisor of the banking group is Ukreximbank. Ukreximbank, a wholly owned state bank, was established in 1992. It ranked third among 82 banks in Ukraine in terms of total assets worth UAH 163.956 billion as of October 1, 2018, according to the NBU.